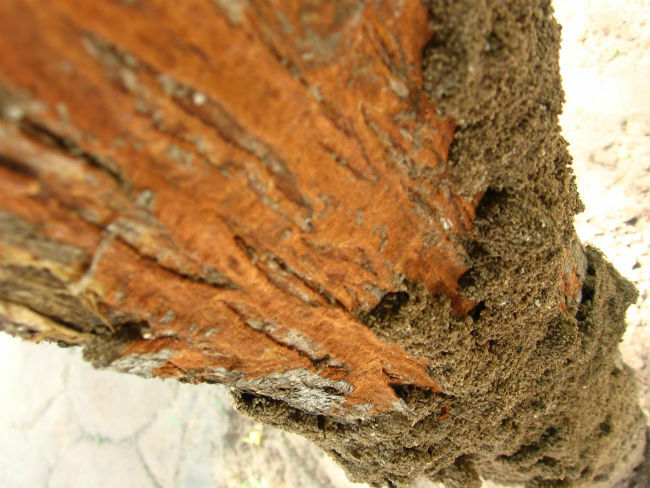 What different types of termite are there? Termite (or Isoptera in greek – “equal winged”) is a eusocial species of insects, which lives in large families like ants, bees, wasps. There are about 3000 modern termite types. Termite colonies range in size from a few hundred zooids to huge societies with millions of males and females. Some termite species build two types of mounds known as terminariums, others organize their nests underground or inside the wood they live in. Their society is divided into three groups or primary castes: “workers”, “soldiers” and “reproductives” or fertile males and females. Workers are sterile individuals with narrow, soft white bodies not more than 0.39 inches long. As a rule, they are weak-eyed or even blind. They build nests, store up food and look after nymths and termite larva. Only workers can eat and digest cellulose, the main source of nutrients and energy for a colony. Fertile termite types have dark body, long wings and clear sight. The largest female is called a termite Queen and her male is a king. Winged termite adult also called “alate” uses its wings and flies only once in its termite life cycle for changing the place of habitat and building a new colony. After landing alates break off their wings. Soldiers have white body from 0.098 to 0.87 inches long. They are distinguished by heads of different colour: orange, auburn, light yellow or dark. Their main function is to protect termite mound from distruction and enemies. Due to similarity of social structure termite is sometimes confused with a wood or white ant, but it is not the same. It is a close relative and ancestor of a cockroach. 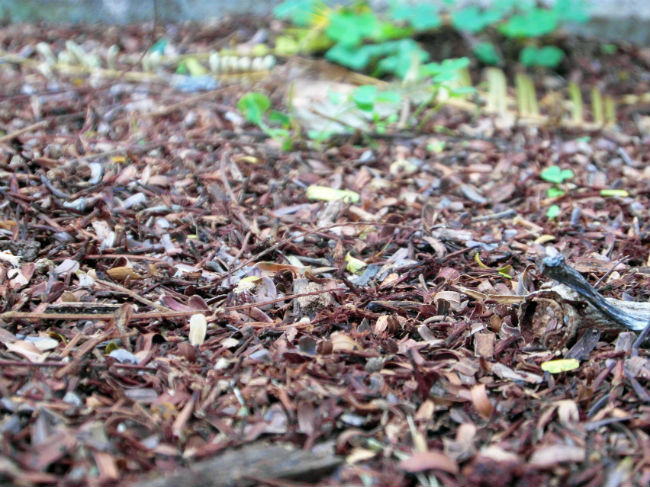 All termite types eat dead plant matter (fallen leaves, soil) and cellulose-containing plants, such as wood. It is obvious that termites are regarded as pests or vermins which are causing serious damage to crops, forests, furniture, buildings, and other man-made structures. In the Southwestern United Stated termite damage to wooden structures totals about $1.5 billion a year. The true cost of termites damage worldwide cannot be really estimated. There is a great variety of termites types in the world. Among them about 50 species live in the US, especially in Florida, California, Colorado, Arizona, Texas and Georgia. All of them can be classified into three large groups according to their similarity in morphology, social organization, place of habitat, food, nesting behavior and biology. They are Dampwood Termites, Drywood Termites and Subterranean Termites. Dampwood Termites can be found in pacific coastal states. 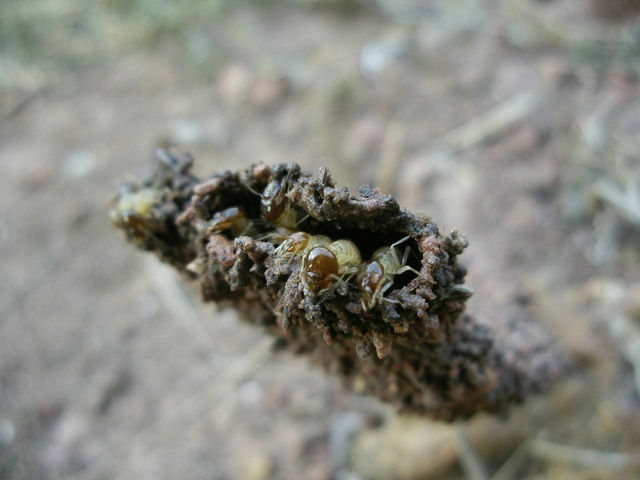 One of the widely spread species in Floida, Colorado and Arizona and others is Termopsidae. Their creamy-light brown bodies are narrow and 0,5- 0,6 inches long. They prefer high moisture wood and consequently signs of termite infestation can be observed in dead trees, logs, fences and fence posts, stubs, stumps, damp boles. Dampwood termites do not infest building construcions as they need highly moisturized wood and so they are less vermin to humans, though better to prevent attracting them to building structures using termite prevention methods. Drywood Termites, Kalotermitidae in particular, are spread from South Carolina westward to Texas and upward the West Coast of California. Their creamy-brown bodies are narrow and up to 1 inch long. 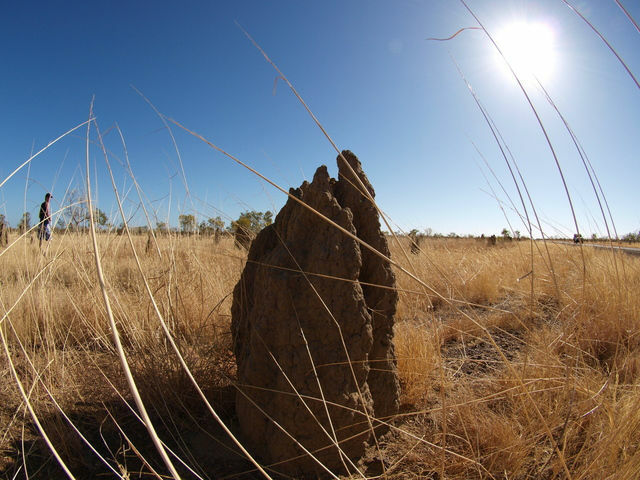 They prefer dry wood and live in excavations in wood as they do not build traditional clay termite mounds. Consequently, termite signs can be found in window and door wooden frames, stored wood, attic, siding, interior decor. They can be distributed through contaminated goods, infested containers. Wood termites of this type can survive in dry conditions for long time due to their special adaptive mechanism of water conserving. Swarming dry wood termites appear on a sunny, warm day especially after an unexpected rise in temperature (up to 80-100 F). It is better to prevent attracting wood termites to building structures using termite prevention methods. Subterraneans can be found throughout the USA. Termite yellowish – dark brown bodies are narrow and 0.1-0.2 inches long. Termite adults are swarming in early spring to start a new colony. As a rule they live underground. They build a system of mud tunnels known as subterranean termite tubes. In the soil they are not exposed to open air and have a good source of food containing cellulose. Formosan Subterranean termite was identified in 1960s and brought with infested goods from Taiwan to Texas, Hawaii, South and North Carolina, California, Luisiana and South Carolina. Huge underground colonies consume average 400 gr feed a day. Formosans infest building structures and timber, trees, boats, etc. Subterranean termite is the most destructive species. It is often called a “silent destroyer” and infests mostly building structures. In US there are 9 Subterranean termite types. If you find the signs of a termite infestation, it is necessary to contact a pest professional. Though it is better to avoid attracting termites to building structures using different types of termite prevention methods.